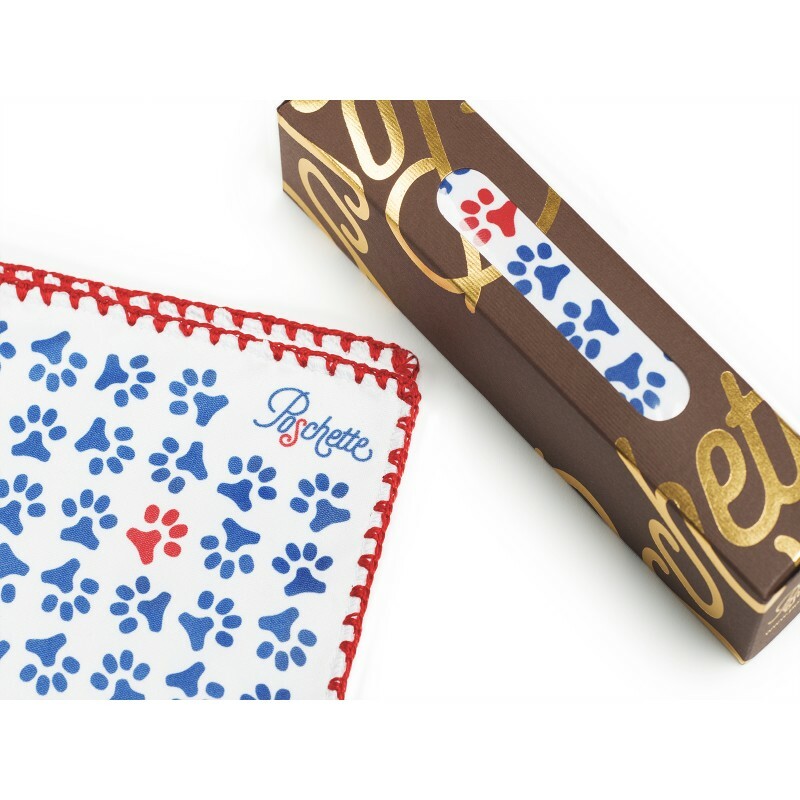 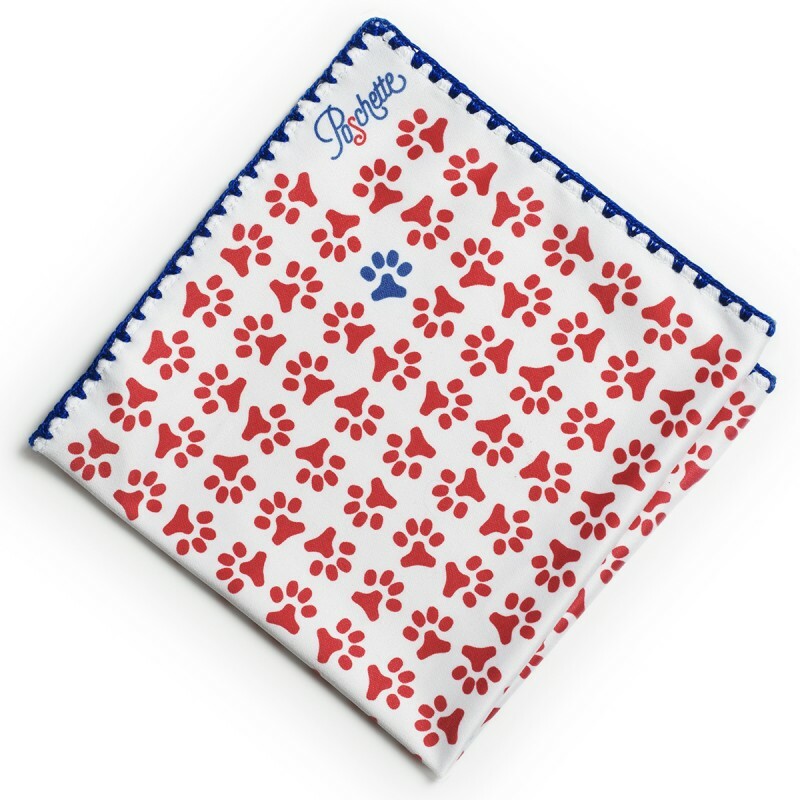 Pocket square in microfiber 95% and cotton 5% - white background - Paws pattern available in red or blue. 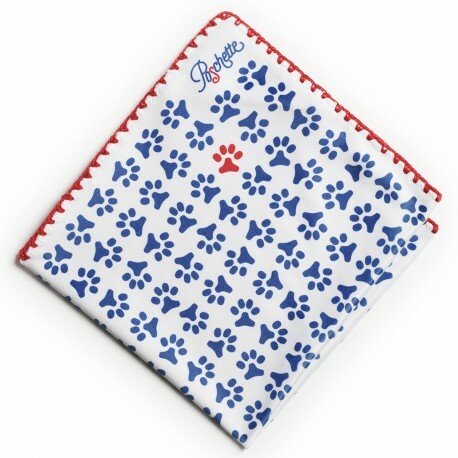 Poschette is a pocket square measuring approximately 31 cm × 31 cm made in microfiber with an handrolled edge. It's useful: you can fold and crease it as much as you want , or you can use it to clean glasses or touch screen: it’s lint-free and cleans perfectly! 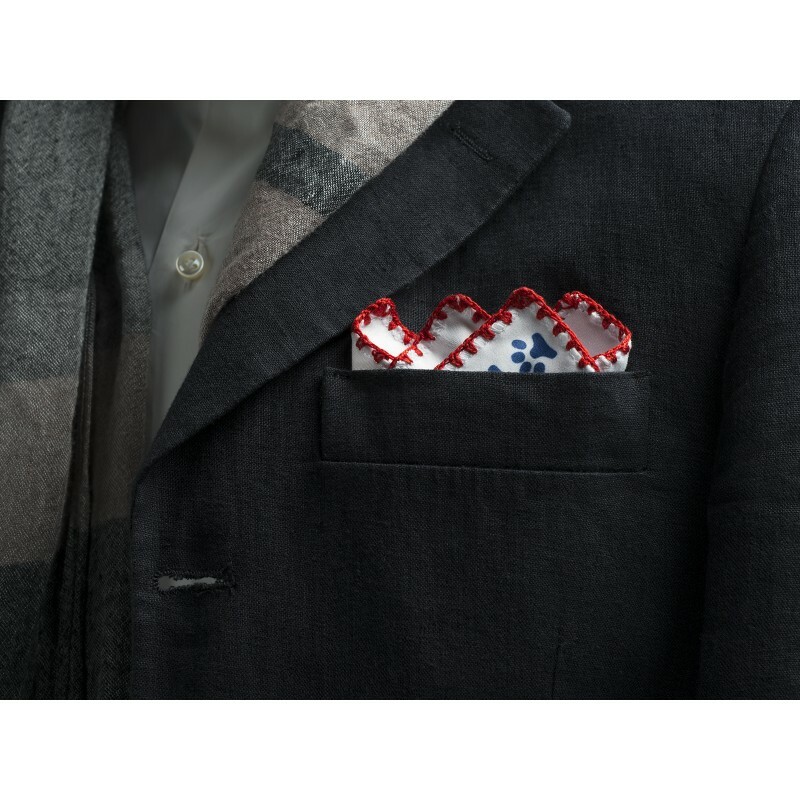 It's precious: the experienced embroiders make the unique stranded edge with selected cotton (It' s not possible to have two similar pocket squares, because it’s the small difference in sewing that guarantees the handcrafted manufacture). 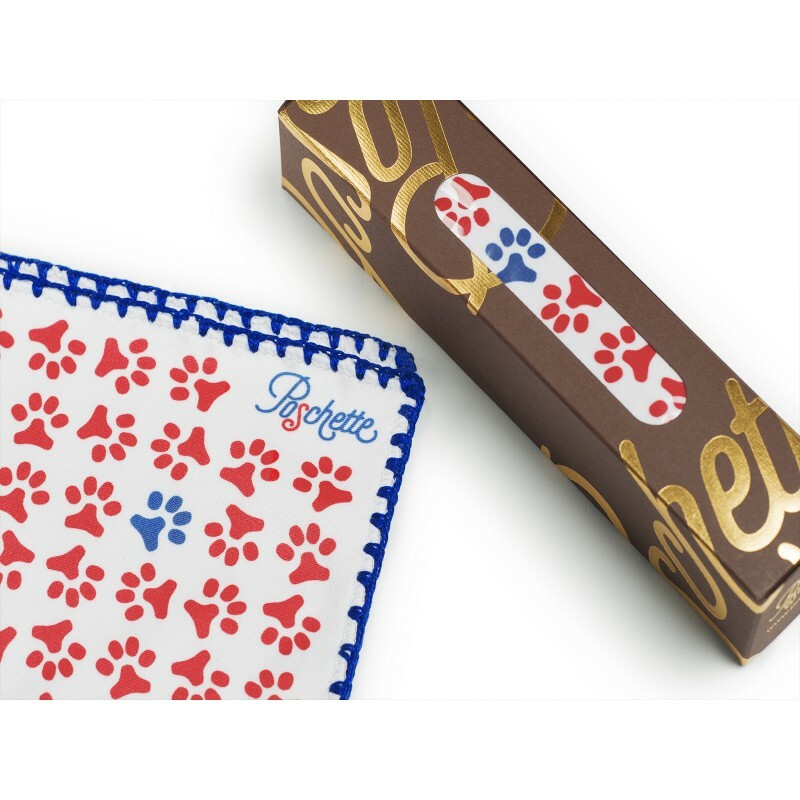 It's unique thanks to the original patterns (characters) realized ad hoc.